Fighting games are pretty well known for having some of the most absurd stories in all of gaming. Almost every major Tekken character has been tossed into a volcano at some point, and who even knows what’s going on in Guilty Gear. One fighting game that has had a huge focus on storytelling is the BlazBlue series, with each game basically coming with a visual novel of its own that ties all of its characters together. 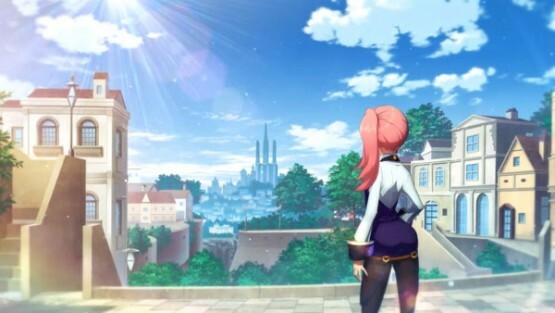 Not content with the story only being told through the fighting games, Arc System Works has widened the BlazBlue universe with a series of visual novels called XBlaze. The first game in the visual novel series, XBlaze Code: Embryo, was a mess in a pretty major way. It had an interesting story, but had one of the most baffling user unfriendly methods of progression ever seen in a visual novel. The player would read articles, about characters in the game or events that occurred, in what was called the TOi system. What articles were read (and unread) would then affect what ending you would get. It was a clunky interface that led to a lot of unavoidable deaths, and thankfully Arc System Works has improved its sequel, XBlaze Lost: Memories, in just about every way possible. If you are new to the series, then you’ll be glad to know that XBlaze Lost: Memories retells the story of XBlaze Code: Embryo almost entirely. This is great for those who want a refresher on what happened, or just don’t want to deal with playing the mediocre first entry in the series. However, those who played through the first game may be annoyed at having to relive the same exact moments, albeit from a different perspective. That isn’t to say that there isn’t new story content to be found in XBlaze Lost: Memories, but the first half of the game is almost entirely retelling previous events. Despite focusing on the past extensively, the game actually doesn’t take place during the first game. Instead, it takes place many years later and the main character Me experiences the events of the first game through a series of flashbacks. The story involves Me, a one-eyed magic user, who gets dragged into the mysterious Phantom Field and must find her system who is at the bottom. To get to the bottom of the Phantom Field, players will control Me directly in the one real interactive part of the game. The Phantom Field is represented as a two dimensional map that the player can walk around in. It is the player’s goal to collect four separate memory fragments, so they can then proceed to the next floor. This exploration segment isn’t particularly fun, but it is nice to have some sort of break from strictly reading. The story gets its hooks in early, as players will want to know how Me got into the Phantom Field, if her sister is okay, and how any of this ties into the first game. XBlaze Lost: Memories completely earns all of its plot twists throughout the game, and the writing is generally well-done. This isn’t War and Peace, but it is a fun story that’s told throughout the 15 or so hours it will take players to read. Unlike XBlaze Code: Embryo which had almost too many different branching paths, Lost: Memories is a much more linear affair. There is only one ending, and the story only has a few choices in it. Thankfully, learning from the first game, the player isn’t punished for making a wrong choice in the game, and can easily restart from the choice if they choose correctly. This makes the game over screens much less frustrating, and players can actually enjoy the alternate scenes instead of dread seeing them. That said, if you are looking for a visual novel where you can play through the story 18 times, then you should look elsewhere. This is a linear game that tells its story (and pretty well, at that), and stands by it. There are a ton of optional story elements to check out, though, as different memories can be viewed in the menus. Throw in some additional scenarios that unlock after the player completes the game, and there is a lot to see and read in XBlaze Lost: Memories. For those that were disappointed by how little the first game tied into the overall story of BlazBlue, they are likely going to be disappointed again. These two series may share a universe, but it is unfair to market this game as a prequel. Who knows if the series, if it winds up continuing, will eventually tie in more directly. It is disappointing that the games haven’t tied in more, but it does manage to hold up on its own. 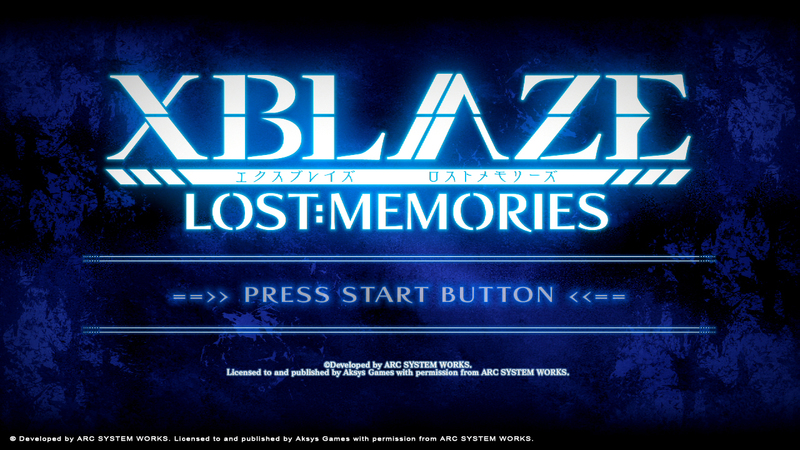 XBlaze Lost: Memories is a huge improvement upon the first game in the series. Aksys Games clearly learned from their mistakes, and have made a visual novel that plays much better. If you are already invested in the story having played the original, or just want to jump into the expanded universe of BlazBlue, then there is no reason not to pick up the sequel. That being said, the story isn’t a masterpiece, nor is it one of the best visual novels on the market. But, XBlaze Lost: Memories is a huge step in the right direction for the series, and is a very enjoyable read.